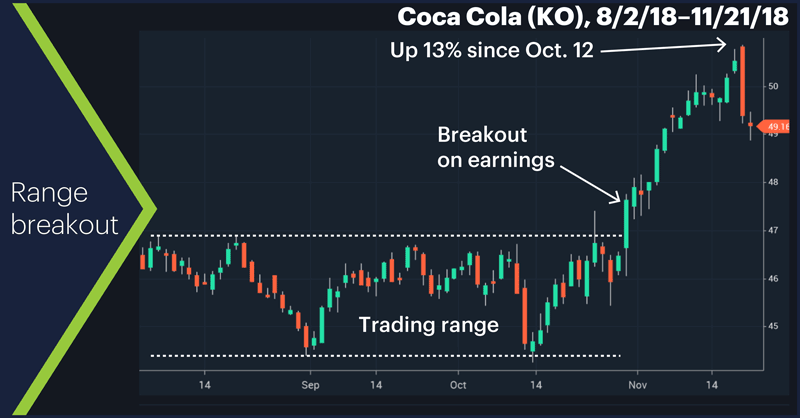 The day marked a record high and close for KO—the apex of a 13% rally since October 12, the bulk of which occurred after the stock busted out of a three-month trading range on October 30 after its latest earnings release. True, it was a nasty day for the market as a whole, but KO’s proportionally larger down move may have made some traders wonder whether the stock had gotten ahead of itself. The stock traded weakly on Wednesday, too, while the S&P 500 (SPX) rebounded. Long-term prospects aside, many short-term traders may be looking for KO to continue to cool its jets a bit. Traders often look for a stock to test a breakout point or previous technical level after a high-momentum move— in this case, for example, a move back to the high of the August-October trading range around $47, or at least below the previous record high from January around $48.60 (the stock came close to that level yesterday morning). At that point, bulls may find KO more effervescent. Market Mover Update: Although last week Nvidia (NVDA) blew a hole in its historical tendency to rally after earnings, it did follow through on its pattern of continuing to decline after an initial earnings selloff. 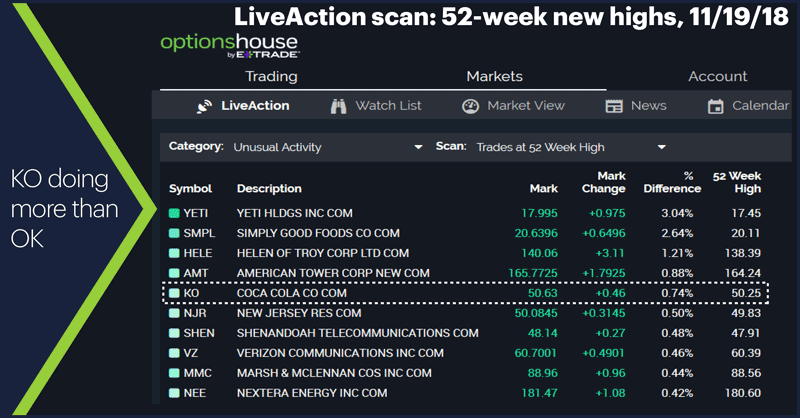 After tumbling 19% on Friday after Thursday’s post-market earnings release, the stock dropped another 7% on Monday, and turned negative Wednesday after an early morning rally. Today’s numbers (all times ET): Germany GDP; US stock market closes at 1 p.m.
1 Barron’s. Coca-Cola and Other Stodgy Stocks Are Back in Fashion as the Rest of the Market Tanks. 11/20/18. 2 Zacks. 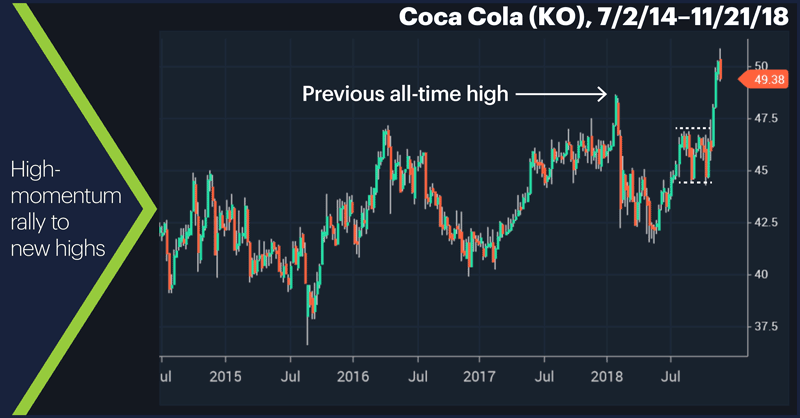 Coca-Cola (KO) Chalks Out Plan for Coffee Business, Cannabis. 11/19/18. 3 CNN.com. Coca Cola is fighting Gatorade by investing in BodyArmor. 8/14/18.